In my last post, I told you about my first ever yarn bombing experience. (Eek!) 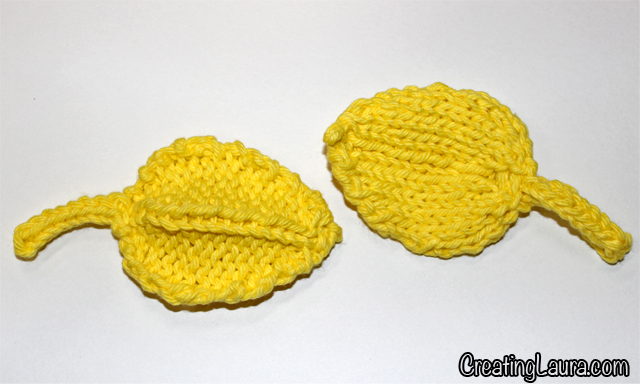 In this post, I'll give you the pattern for the knitted leaves that I made. If you know how to knit, purl, do stitch increases and decreases, and make an i-cord, you'll be able to make these little guys. (Bind off) Row 19: purl 1, p2tog, bind off the two stitches. You'll notice in the pictures above that I wove in the loose ends at the pointy side of the leaves but I left the loose ends hanging off of the leaves' i-cord stems. 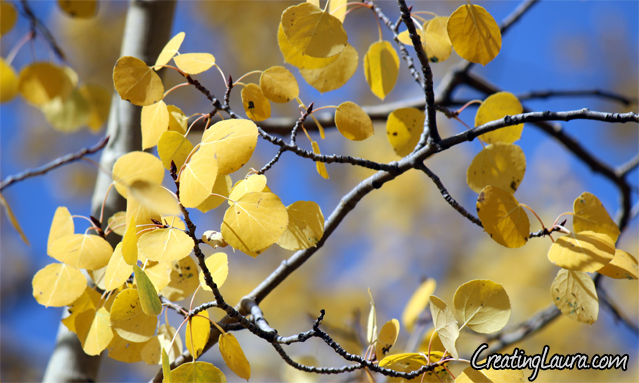 That's because I used those loose ends to tie the leaves onto the tree. 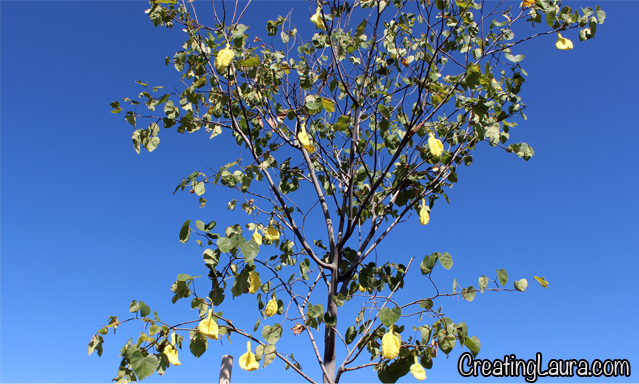 Today I revisited my tree and was delighted to see the yellow leaves dancing in the wind. Yarn bombing is something I've been interested in doing ever since I first heard of it. 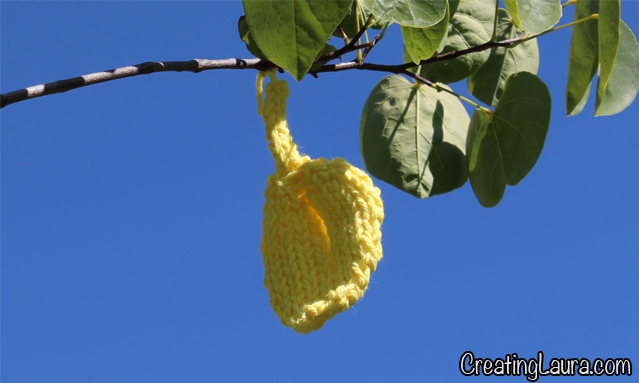 Also called yarn storming, gorilla knitting, graffiti knitting, and urban knitting, it's when you knit something and display it in a public place like on a bike rack or a lamp post. I'm enamored of it because it seems playful and a teensy bit devious which are not adjectives that people would generally attribute to knitting. Last week, Meredith over at One Sheepish Girl announced that she was declaring today Sheepish Yarn Bombing Day and invited her readers to participate. Here was my chance. I was nervous and excited and I was totally going to do it! 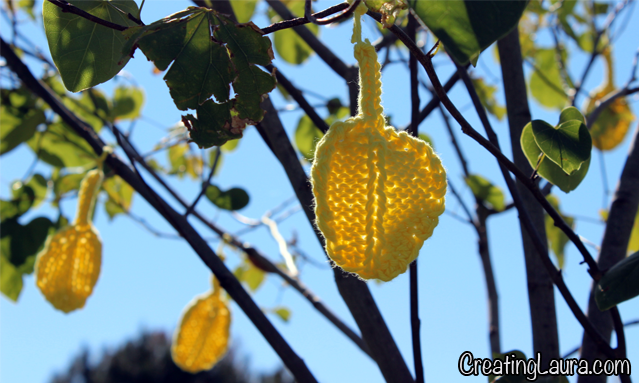 In her post about yarn bombing, Meredith suggested crocheting leaves, and I ran with that idea. 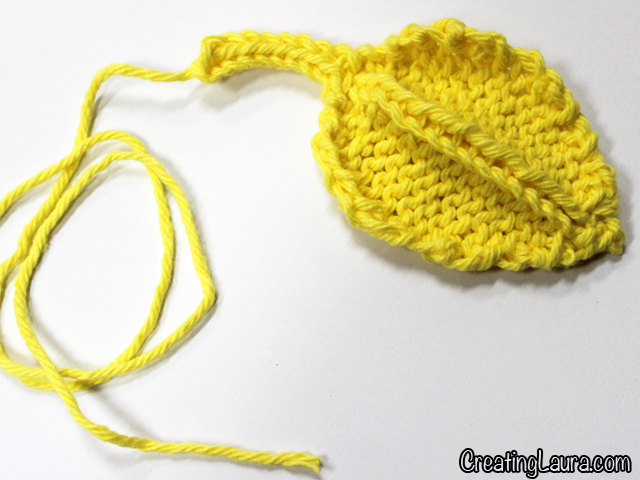 I'm not a crocheter (although I'm not against the idea), so I made up my own pattern for knitting leaves that I'll share with you in my next post. 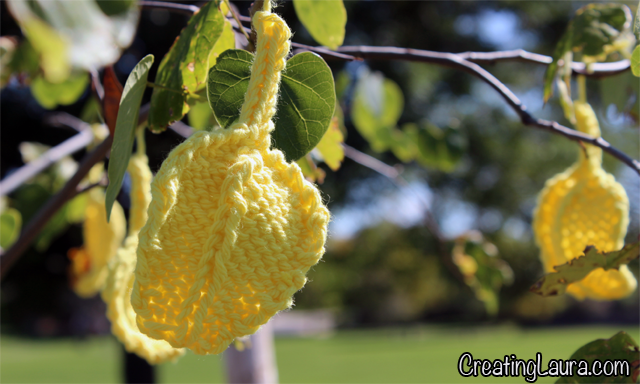 I whipped up 19 bright yellow leaves because that was how many I could make before I ran out of yarn, then I hung them on a little tree in the park by my house. Have you ever yarn bombed before? Were you nervous? I was! 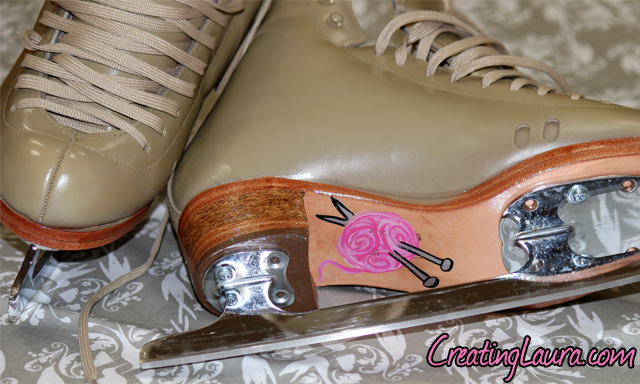 I skated on my new skates for the first time today (ouch). 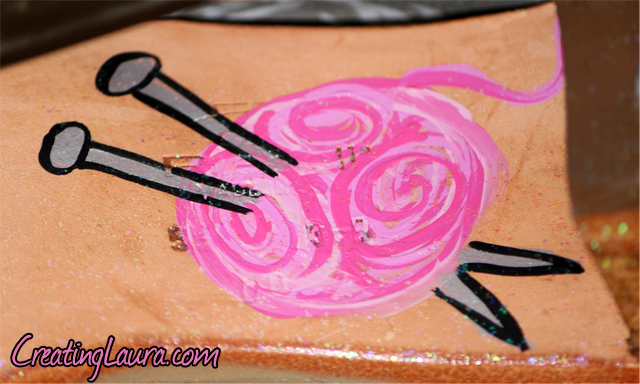 While I'm not thrilled about breaking them in, I am thrilled about the picture that my very artistic and very talented friend, Kelly Smith, painted on their soles. Now I'll always have a picture of my second favorite activity with me while I do my first favorite activity! 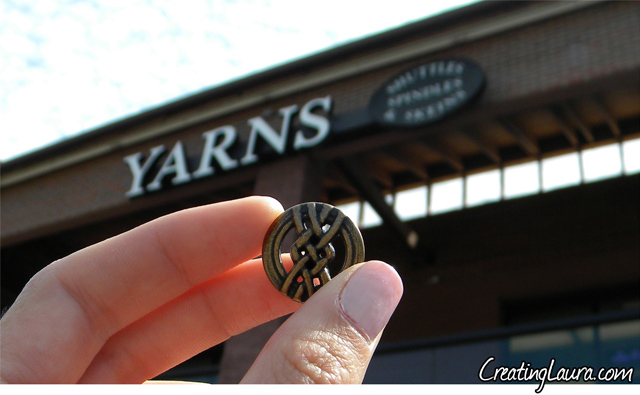 How do you show your knitting love? 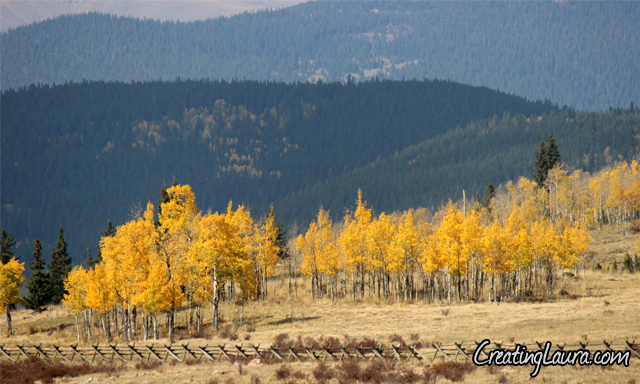 This week I'm loving... Fall in Colorado! 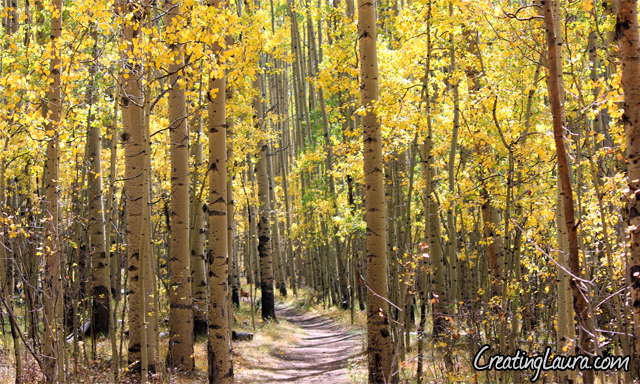 Did you know that fall is my favorite season? 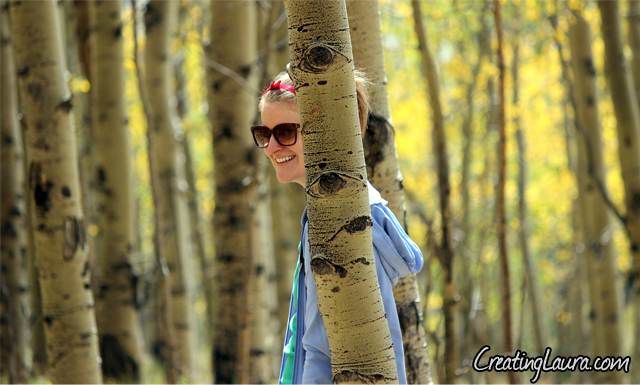 Saturday was the first official day of fall, and my friends and I went for a hike amongst the aspen trees. 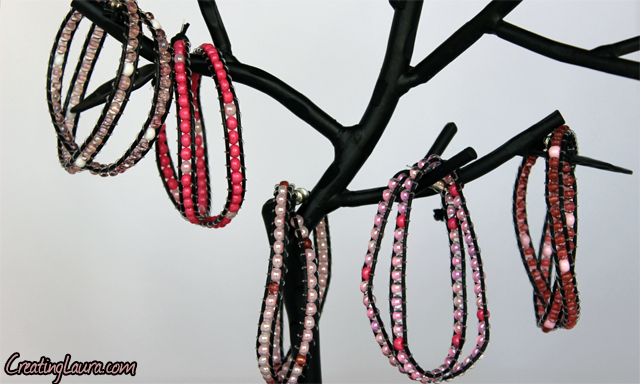 Have you been seeing these beaded wrap bracelets all over the place like I have? You can get everything from the $200 Chan Luu version to the ones that are on sale right now at Urban Outfitters. 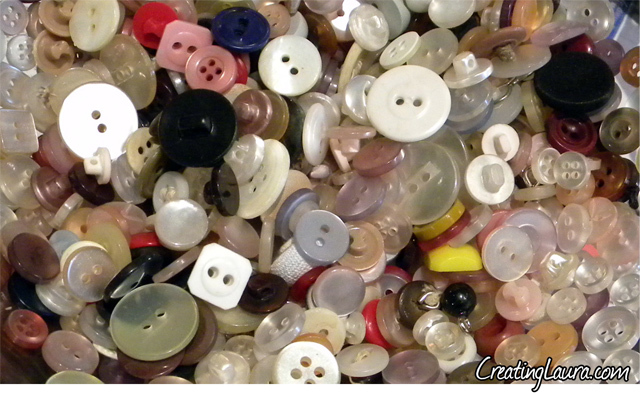 Or, if you're like me, you can take a close look at one of them, experience all of your childhood beading skills come flooding back to you, and make them yourself. Why buy it when you can make it and have it look exactly the way you want it to for a fraction of the price? The basic idea is that there are 2 parallel black cords with a bead in between them. You will use a stretchy clear string to make a figure 8 around those 2 cords, passing through the bead in the middle twice along the way. 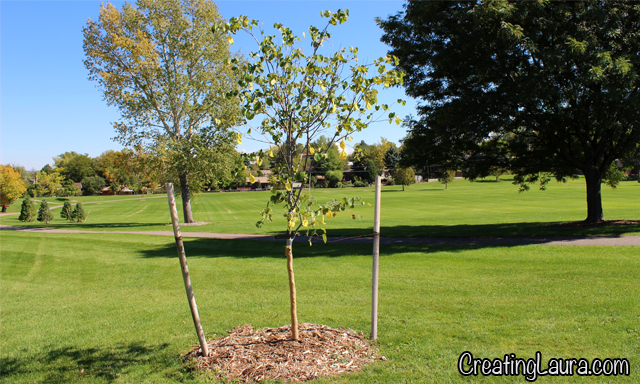 (Picture #11 is a good illustration of how the figure 8 should look.) 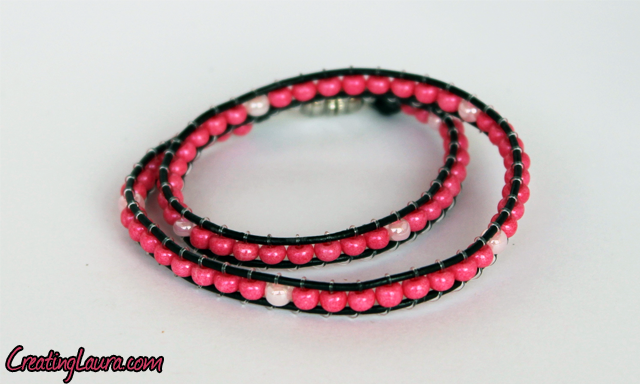 Just make your figure 8s over and over, adding more and more beads as you go and you'll have a wrap bracelet. Thread one side of the metal clasp onto the black cord so it sits in the fold you made earlier. Then tie the clear string onto the clasp as well. 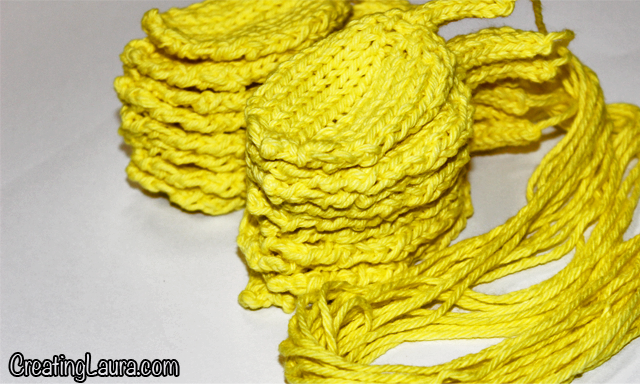 Wrap all three strings around your finger and tie them in a knot. The knot should sit directly below the clasp. Cut off the tail of the clear string. Now you're ready to start beading. Tape the clasp-end of the bracelet onto a table. Add one bead to the clear string and position it so it is sitting between the two black cords. Wrap the clear string around the left-hand black cord (going over the black cord first then under it second), then thread the clear string back through the same bead. Pull the string so the loop you just made tightens up and the bead sits right underneath the clasp and the knot. Now wrap the clear string around the right-hand black cord (going over first then under second). Add another bead to the clear cord. Wrap the clear string around the left-hand black cord the same way you did it before (in step 5), and thread it back through the second bead. Pull the clear string so the loops tighten up and the second bead sits right next to the first one. Continue making figure 8s with the clear string around the right-hand black cord, though a new bead, around the left-hand black cord, through the same bead again, and then pulling the clear string so everything's nice and tight. After you've added 8 beads using the figure 8 method, make the 9th bead an alternate color. Continue making figure 8s and adding new beads (with every 9th bead being the alternate color) until the bracelet is almost 13 inches long. Loop the clear string around the right hand black cord and tie it in a knot. Slip the 2nd half of the metal clasp onto the right-hand black cord and the clear string. Loop all the strings around your finger to tie a knot. 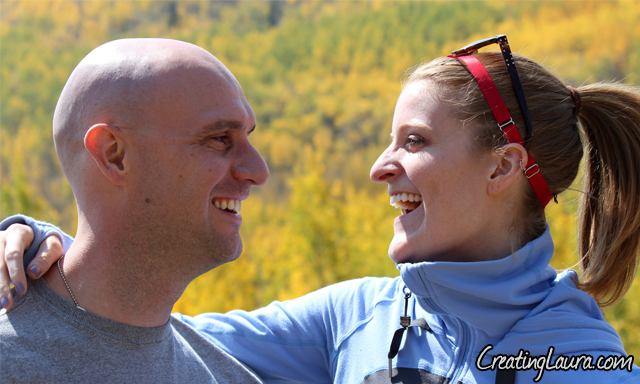 Pull the knot tight, keeping the metal clasp at the top of the knot. Three of the stores were giving out cute alternatives to the pins that they had run out of, and I appreciated their efforts. Shuttles Spindles & Skeins was giving out beautiful metal buttons, Bags by CAB let me pick a regular button out of a giant martini glass, and Stash gave away the cute pins that they normally sell. 1. 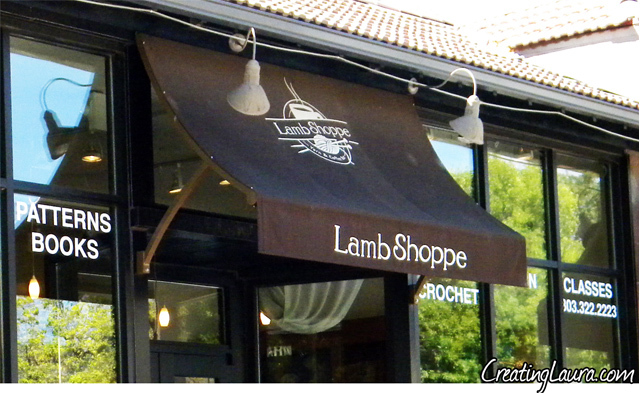 My favorite store has been and will always be The Lamb Shoppe because it's where I learned to knit. I can now officially say I've been all over the place and it's still the best. 2. 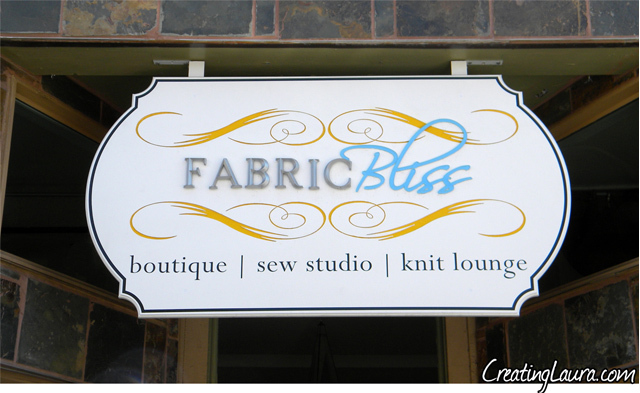 My next favorite store is Fabric Bliss, located in the cool artsy section of Santa Fe Drive. It's a small store that carries half fabric and half yarn, and I adore their aesthetics. Everything is bright and uncluttered and fresh, and the girl I talked to at the desk was super friendly. She has a blog too, and it's right here if you want to check it out. 3. 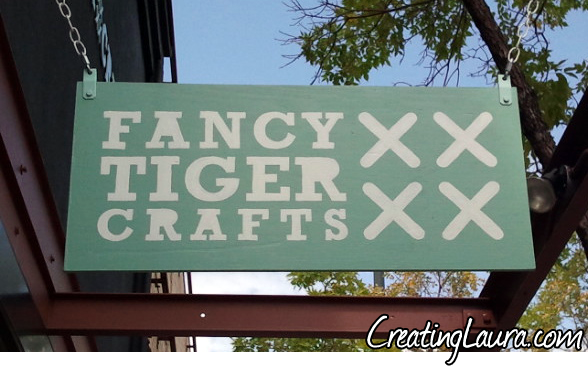 I also loved Fancy Tiger Crafts. It has a similar vibe to Fabric Bliss except it's a larger store and it's located in the hipster area of Broadway near the Myan theatre. They have a big table at the back of their store where they host classes and crafting times that anyone can join in on. They even have a crafting time just for guys; how cute is that? I think that pretty much sums up my crawling experience! Because I completed the whole crawl, I got to enter into the drawing for the grand prize (hundreds of dollars worth of knitting supplies)... I've got my fingers crossed and I'll let you know if I win! I love that they're so comfy, and I love that the stripes have a nautical vibe, and most of all I love that my purchase helped a kid in need. Don't know what I'm talking about? 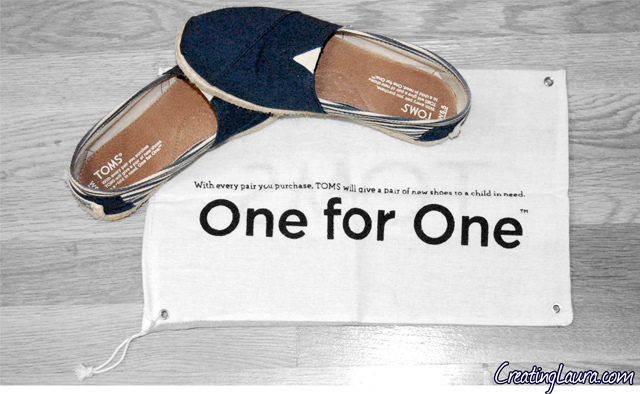 Here is what Toms is all about. What are you loving this week? 1. Paint your nails any color you want. 2. Let them dry for a half hour so that they will be dry but not dent-proof. 3. 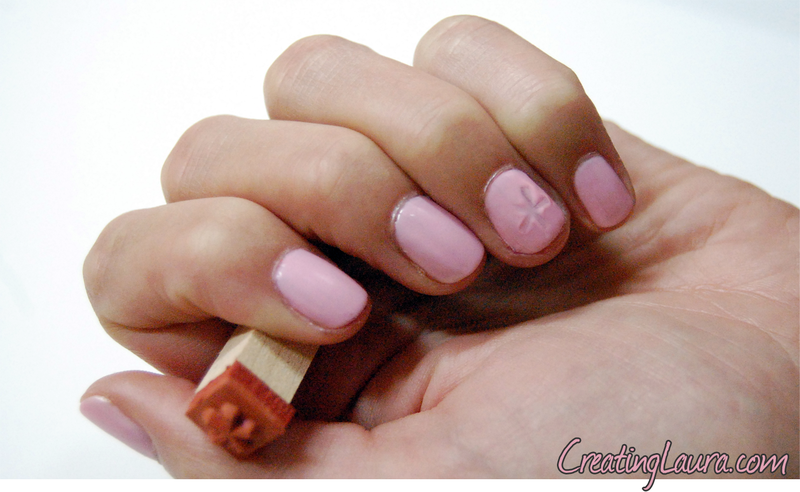 Gently press a clean, dry stamp onto the nail on your ring finger (or all of your nails, if you want!). 4. Paint over all of your nails with a clear top coat. The one I used on my nails was a matte finish, but a glossy one should work great too. This top coat will fill in the divots in the nail that you stamped and make it feel smooth again without erasing the impression that the stamp left. I like this look because it is so subtle that you could get away with wearing it to places where full-blown nail art might not be appropriate (like at work). What do you think? 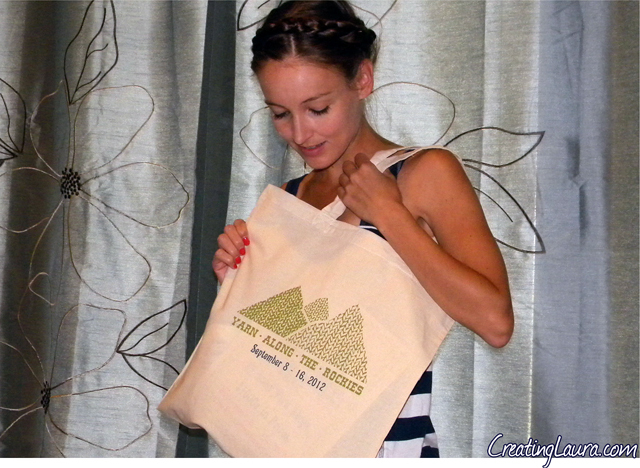 Check out my fun new tote bag! 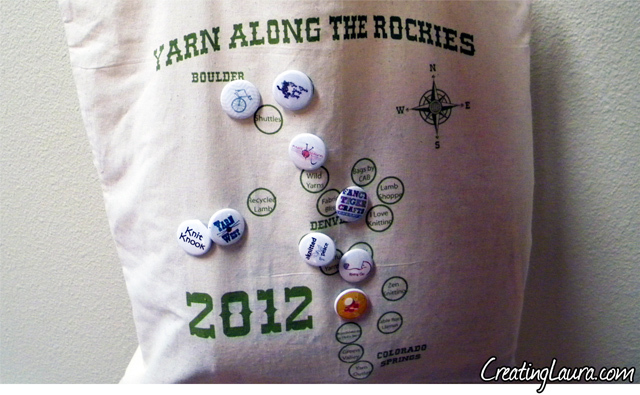 I got the tote this morning when I signed up to do Yarn Along the Rockies, which is a yarn crawl involving 21 different yarn shops across the Colorado Front Range. 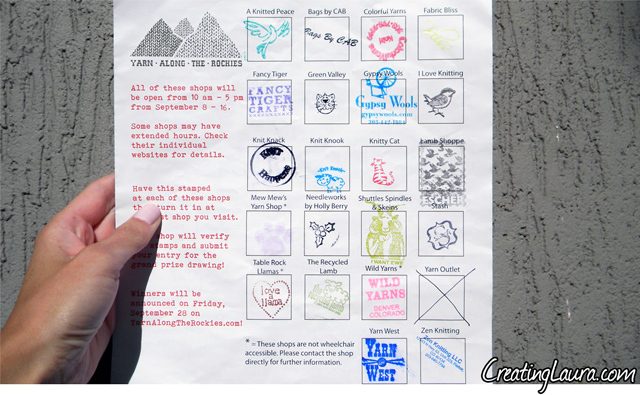 The goal is to go to each of the yarn shops and collect stamps to prove you were there. There are also raffles and fun little gifts at each store. If you collect stamps at all 21 shops by September 16th you will be entered to win a grand prize of hundreds of dollars worth of yarn and knitting supplies. I went to three stores today and I realized that with or without the prizes it's pretty fun to see all the different places there are to buy yarn and take knitting classes around Denver. I'm hoping to have a few more favorite stores by the time this is all wrapped up. 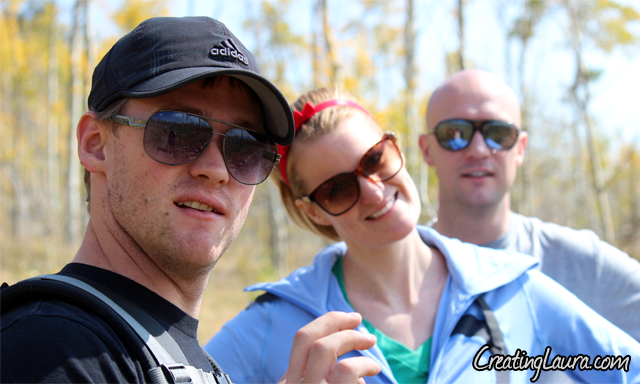 Have you ever participated in an event like this? Was it fun? I'm back in Colorado, and last night I got to go to Fashion's Night Out in Boulder because my best friend, Karleen, was modeling in the show! Fashion's Night Out is an annual event with fashion shows and parties in cities all over the world. 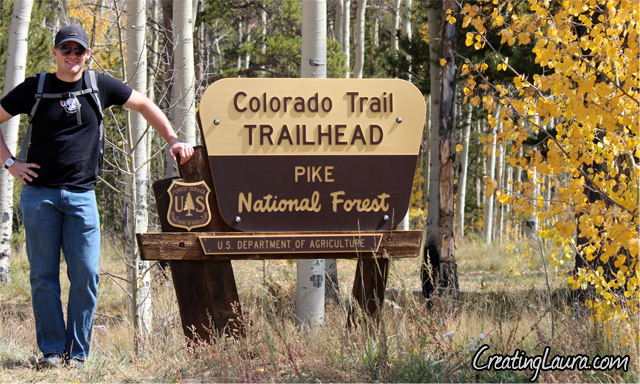 The show in Boulder highlighted fashions available at local shops on and around Pearl Street. 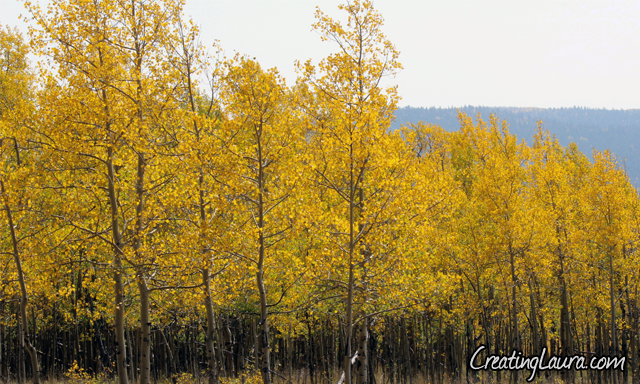 I couldn't resist the opportunity to whip out my camera and take a few pictures. After the show, I went back to the Silhouette store with Karleen to have a little champagne and to check out the clothes. I ended up really liking the store because they don't just sell pretty clothes, they sell pretty clothes that are eco-friendly and that come from designers with socially responsible business practices. What does that mean? It means they carry lines like EcoSkin, which makes organic dresses, and Ingenious Design, which manufactures fare-wage apparel in Peru. I loved it because I know all about organic food but I had never really thought about how clothes can be organic as well. (Oh, and I'm not being paid by Silhouette. 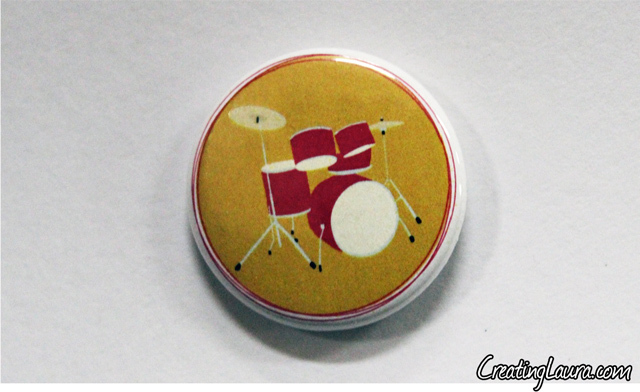 I just think they're a cool company.) If you want to check them out, you can go to their facebook page or follow them on twitter. I hope you're having a fabulous (and fashionable) Friday! The last thing I want this blog to be is generic, so I've spent the last few days thinking of ways to add more of my personality to it. 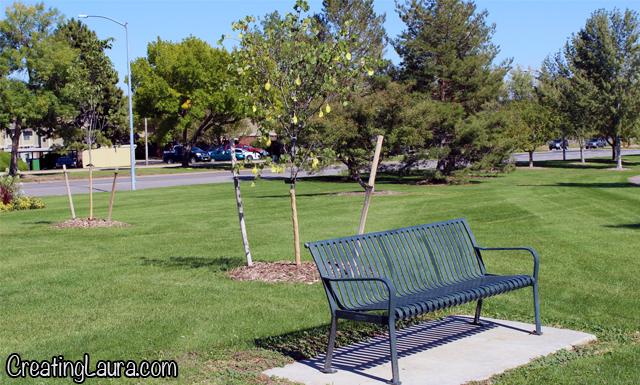 I love making DIY posts, and while I plan to continue making them on a weekly basis, I've decided to add another segment to the mix as well: A weekly photo post that highlights a different thing that I love each time. I'm really excited to share more glimpses of who I am as a person and what inspires me to make the things that I blog about, so here I go! ...and all the fun outfits I get to wear to those classes! I can't help myself, I just love them! 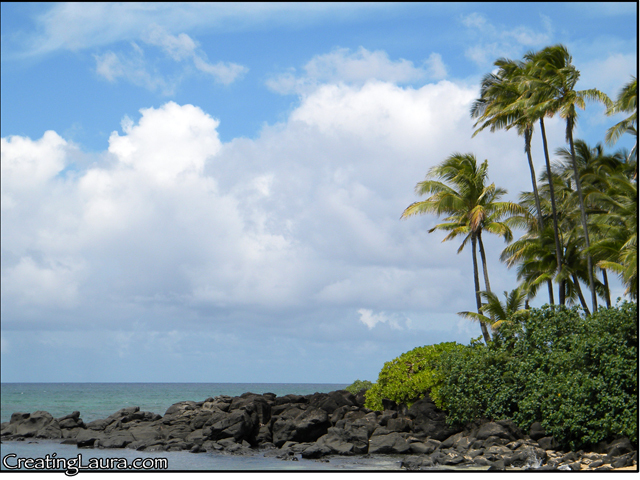 While I was there, I was all about rocking the easy breezy beach look, and a lip stain works perfectly for that. I think that a little something on your lips and some waterproof mascara is all you really need to throw on in the morning when you're heading out to the beach all day (along with a whole lot of sunscreen, of course). 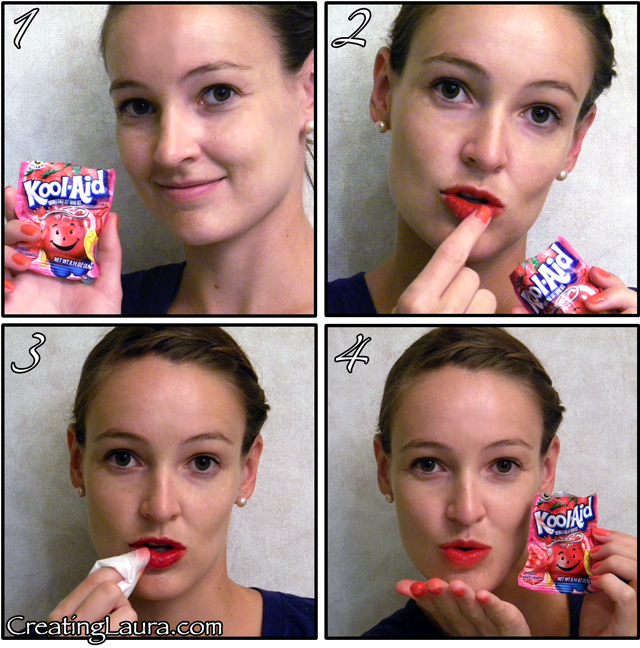 Luckily, I read this great post about using Kool-Aid as a lip stain from The Beauty Department right before my trip, so I brought a little Kool-Aid along to try it out. 1. The first thing I did was open a little pouch of strawberry Kool-Aid, taste it, and freak out. It is unsweetened so it's super duper gross all by itself. To fix that, add (at least) 4 spoonfuls of sugar to the Kool-Aid pouch and mix it together so it will taste yummy like regular Kool-aid. 2. Now lick you finger, dip it in the Kool-Aid pouch, and gently rub the Kool-Aid all over your lips. The wetter your lips are when you begin, the better this will work. 3. Leave the Kool-Aid paste on your lips for 3 minutes. It will be extremely tempting to lick your lips during that time, but do yourself a favor and resist the urge. It will mess up your lips and get your teeth all red. (I know because I accidentally did it.) When the time is up, dampen a tissue or a q-tip and wipe off the excess Kool-Aid. 4. Blow yourself a kiss; you're all done! One word to the wise about this project. Have a look at my index finger in step 4. Do you see how red it is? When it comes to staining things, Kool-Aid does not mess around, so make sure you don't get it on your clothes, hair, or other body parts. I hope this works as great for you as it did for me. Also, don't forget to check out The Beauty Department for all sorts of other great beauty tips and tricks. 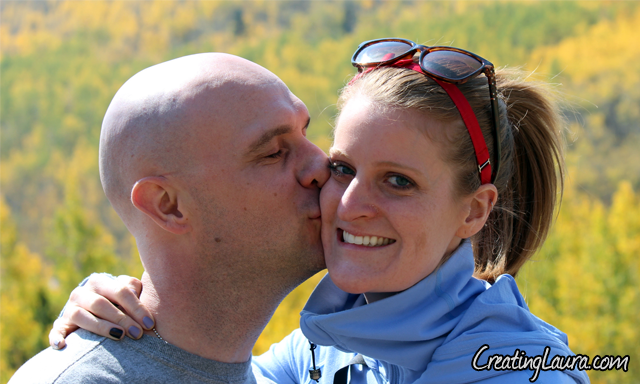 I seriously love that blog and I bet you will too.